Victor Nogin was born in Moscow, Russia, on 14th February 1878. He became a weaver and in 1898 joined the Social Democratic Labour Party. in 1903, there was a dispute between Lenin and Julius Martov, two of SDLP's leaders. Lenin argued for a small party of professional revolutionaries with a large fringe of non-party sympathizers and supporters. Martov disagreed believing it was better to have a large party of activists. Martov based his ideas on the socialist parties that existed in other European countries such as the British Labour Party. Lenin argued that the situation was different in Russia as it was illegal to form socialist political parties under the Tsar's autocratic government. At the end of the debate Martov won the vote 28-23. Lenin was unwilling to accept the result and formed a faction known as the Bolsheviks. Those who remained loyal to Martov became known as Mensheviks. Nogin became a Bolshevik. 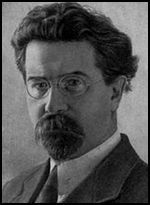 Other members included Gregory Zinoviev, Anatoli Lunacharsky, Joseph Stalin, Mikhail Lashevich, Nadezhda Krupskaya, Mikhail Frunze, Alexei Rykov, Yakov Sverdlov, Lev Kamenev, Maxim Litvinov, Ivar Smilga, Vladimir Antonov, Felix Dzerzhinsky, Vyacheslav Menzhinsky, Kliment Voroshilov, Gregory Ordzhonikidze and Alexander Bogdanov. On 26th February, 1917, Nicholas II ordered the Duma to close down. Members refused and they continued to meet and discuss what they should do. Michael Rodzianko, President of the Duma, sent a telegram to the Tsar suggesting that he appoint a new government led by someone who had the confidence of the people. When the Tsar did not reply, the Duma nominated a Provisional Government headed by Prince George Lvov. Lenin and other Bolsheviks living in exile were now desperate to return to Russia to help shape the future of the country. The German Foreign Ministry, who hoped that Lenin's presence in Russia would help bring the war on the Eastern Front to an end, provided a special train for Lenin and 27 other Bolsheviks to travel to Petrograd. When Lenin returned to Russia on 3rd April, 1917, he announced what became known as the April Theses. Lenin attacked those Bolsheviks who had supported the Provisional Government. Instead, he argued, revolutionaries should be telling the people of Russia that they should take over the control of the country. In his speech, Lenin urged the peasants to take the land from the rich landlords and the industrial workers to seize the factories. Some Mensheviks such as Leon Trotsky and Alexandra Kollontai , agreed with this view and now joined the Bolsheviks. Nogin, the leader of the Bolsheviks in Moscow, disagreed with Lenin on this issue and favoured the moderate line of non-violent opposition. Gregory Zinoviev and Lev Kamenev also opposed the policy. When they explained their reasons for taking this decision in the semi-Menshevik paper Novaia Zhizn, and therefore revealing the Bolshevik plan to the government, Lenin called for them to be expelled from the party. Despite his opposition to Lenin, he became a member of the Bolshevik Central Committee on 29th April. Other members included Gregory Zinoviev, Lev Kamenev, Yakov Sverdlov, Joseph Stalin, Alexei Rykov, Nickolai Bukharin, Alexandra Kollontai, Felix Dzerzhinsky, Leon Trotsky, Moisei Uritsky, Andrey Bubnov and Grigori Sokolnikov. After the failure of the July Offensive on the Eastern Front, the prime minister, Alexander Kerensky, replaced General Alexei Brusilov with General Lavr Kornilov, as Supreme Commander of the Russian Army. The two men soon clashed about military policy. Kornilov wanted Kerensky to restore the death-penalty for soldiers and to militarize the factories. When he refused Kornilov responded by sending troops under the leadership of General Krymov to take control of Petrograd. Kerensky was now in danger and was forced to ask the Soviets and the Red Guards to protect Petrograd. The Bolsheviks, who controlled these organizations, agreed to this request, but Lenin made clear they would be fighting against Kornilov rather than for Kerensky. Nogin was a member of the Provisional Committee during the fighting against Kornilov's troops. On 26th October, 1917, the All-Russian Congress of Soviets met and handed over power to the Soviet Council of People's Commissars. Lenin was elected chairman and other appointments included Nogin (Trade and Industry), Leon Trotsky (Foreign Affairs) Alexei Rykov (Internal Affairs), Anatoli Lunacharsky (Education), Alexandra Kollontai (Social Welfare), Victor Nogin (Trade and Industry), Joseph Stalin (Nationalities), Peter Stuchka (Justice), Vladimir Antonov-Ovseenko (War), Nikolai Krylenko (War Affairs), Pavlo Dybenko (Navy Affairs), Ivan Skvortsov-Stepanov (Finance), Vladimir Milyutin (Agriculture), Ivan Teodorovich (Food), Georgy Oppokov (Justice) and Nikolai Glebov-Avilov (Posts & Telegraphs). The balloting for a Constituent Assembly began on 25th November and continued until 9th December. Despite the prevailing disorders and confusion, thirty-six million cast their secret ballots in parts of the country normal enough to hold elections. In most of the large centers of population, the voting was conducted under Bolshevik auspices. Yet twenty-seven of the thirty-six million votes went to other parties. A total of 703 candidates were elected to the Constituent Assembly in November, 1917. 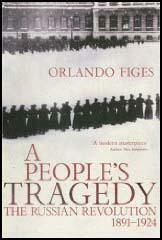 This included Socialist Revolutionaries (299), Bolsheviks (168), Mensheviks (18) and Constitutional Democratic Party (17). As David Shub pointed out, "The Russian people, in the freest election in modern history, voted for moderate socialism and against the bourgeoisie." Most members of the Bolshevik Central Committee, now favoured a coalition government. Lenin believed that the Bolsheviks should retain power and attacked his opponents for their "un-Marxist remarks" and their criminal vacillation". Lenin managed to pass a resolution through the Central Committee by a narrow margin. Nogin, like most members of the Bolshevik Central Committee, now favoured a coalition government. Lenin believed that the Bolsheviks should retain power and attacked his opponents for their "un-Marxist remarks" and their criminal vacillation". Lenin managed to pass a resolution through the Central Committee by a narrow margin. Five members of the Bolshevik Central Committee, Nogin, Lev Kamenev, Gregory Zinoviev, Alexei Rykov and Vladimir Milyutin submitted their resignations. On 4th November, 1917, the five men issued a statement: "The leading group in the Central Committee... has firmly decided not to allow the formation of a government of the soviet parties but to fight for a purely Bolshevik government however it can and whatever the sacrifices this costs the workers and soldiers. We cannot assume responsibility for this ruinous policy of the Central Committee, carried out against the will of a large part of the proletariat and soldiers." Nogin, Rykov, Milyutin and Ivan Teodorovich resigned their commissariats. They issued another statement: "There is only one path: the preservation of a purely Bolshevik government by means of political terror. We cannot and will not accept this." Nogin later returned to government in an attempt to restore the nation's textile industry which had been damaged in the revolution. In this role he visited London to negotiate an Anglo-Soviet Trade Agreement. In 1923, Nogin went to the United States to arrange a cotton import deal. Victor Nogin died, aged 46, on 22nd May 1924. On 4th November, 1917, the five men issued a statement: "The leading group in the Central Committee... has firmly decided not to allow the formation of a government of the soviet parties but to fight for a purely Bolshevik government however it can and whatever the sacrifices this costs the workers and soldiers. We cannot assume responsibility for this ruinous policy of the Central Committee, carried out against the will of a large part of the proletariat and soldiers.